Keeping your CPAP equipment clean and sanitized at all times is of primordial importance. There are many CPAP cleaners available on the market, but you should carefully choose one that suits your individual needs and your available budget of course. By regularly cleaning and sanitizing your CPAP, you will ensure your equipment is free from viruses, bacteria, mold, and other pathogens. This way, you can enjoy a healthy and clean therapy each time. 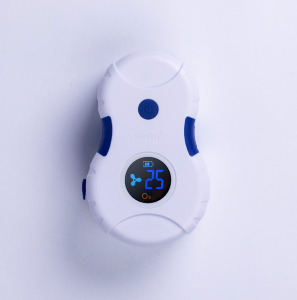 Sleep 8 is a revolutionary and innovative CPAP cleaning device, which includes all the necessary items to sanitize any type of CPAP, BiPAP or even APAP device. With the help of Sleep 8, you can sanitize the mask, the heated or non-heated tubing and even the water chamber of your equipment. You can actually sanitize all these items at once and then enjoy a pure and clean oxygen therapy session. Sleep8 uses ozone in order to sterilize all your CPAP accessories. It is a small, stylish and compact device perfect for being taken even on your travels. This way, you can maintain all your CPAP accessories clean and sanitized without the use of any detergents or harsh chemicals. Sleep 8 comes with an incredibly user-friendly design. All you have to do is unplug the hose from your CPAP device and then simply plug it into the port that you can find inside the filter bag. You will not need any special adapters, because the port inside the bag fits all electric diagnostic hoses, the standard PAP hoses or any heated hoses. As a next step, you have to close the bag, while your hose and mask are inside. Next just plug the Sleep 8 main unit to the port you can find outside the bag and press start. The device will start the cleaning and sanitation process, which last approximately 1 hour. When the sanitation process is done, the device will turn off. It is important that you do not open the bag for 1 hour after sanitation has completed. Older cleaning and sanitation devices produce quite a lot of noise. Sleep 8 is extremely quiet, so you can use your cleaning device in different environments. The device cleans and sanitizes perfectly all types of masks and tubing systems. Sleep8 main unit comes with a screen where you can track several details pertaining to the sanitation process. For example, the device shows the battery icon, which informs you about the battery life status. For one full battery charge, you need to charge the device for approximately 2 hours. Then, there is a Timer icon available on the screen which indicates the time left until the sanitation process is complete. When the process is over, the unit will beep 5 times, and then the word “OK” will be displayed on the screen. There is also a “FAN” icon available on the screen, which shows a pulsating movement while the sanitation process is taking place. There is also an O3 icon available on the screen, and this will confirm to you that the bag is connected properly to the Sleep 8 device. Whenever you see an X next to the O3 display, it means that the bag is improperly connected so you need to try again. Sleep 8 is an incredibly simple to use the device that will help you maintain all your CPAP accessories properly sanitized. Take it with you on your travels, or use it at home. It is important that you sanitize your accessories at least 2 to 3 times per week; some users even sanitize their equipment on a daily basis. This is especially true in cases when you are sick, such as having a cold and you do not want to allow those bacteria to spread and cause even more health problems. Bacteria and pathogens are prone to multiplication within humid environments very fast. This is why it is so important to sanitize your CPAP equipment even on a daily basis. You also need to keep your Sweep 8 device clean, by cleaning it with a damp cloth from time to time. You should not immerse the Sleep 8 unit under water. The three most important accessories that must be sanitized using Sleep 8 include your tubing system, the mask, and the water chamber if you also have humidification for your therapy. These are the accessories are at highest risk for bacteria growth and multiplication, because the air that you breathe travels through these accessories. Always empty the water chamber before you add it to the bag, and never add water inside the filtered sanitation bag. Whether heated or not, the Sleep 8 will fully sanitize your tubing system. When purchasing a CPAP sanitation system, it is important to purchase one that is highly portable especially if you travel a lot. You need to ensure that your CPAP accessories are properly cleaned even while you are camping, traveling for business or for holidays. 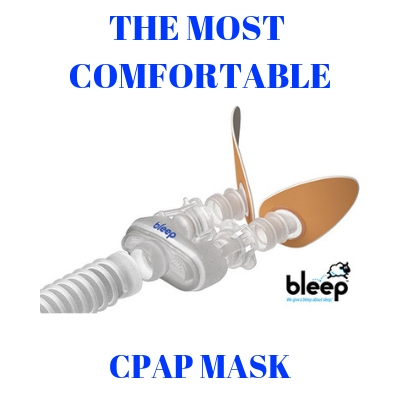 Sleep 8 is such a CPAP cleaning device that does not require too much maintenance or the purchase of additional adapters to work with your particular CPAP model. Finally, if you’re convinced about the advantages of this device you can buy the Sleep 8 CPAP cleaner from HERE. How long does it take to sanitize your CPAP equipment? I’m concerned that I may not have enough time before leaving for work to complete the process. Just put it in the Sleep8 bag, turn it on and go about your day. When you return in the afternoon your equipment wil be clean and rady for use. No need to be around for the cycle to finish. Charles, Your machine will sanitize for 60 min. If automatically shuts off. Then leave in sealed bag for another hour. I just leave mine in sanitized bag and at night attach back to my CPap machine. No more sinus issues for me! IT’S A GAME CHANGER! SLEEP8 ❤️ I sanitize my mask, tubing, water chamber PLUS my dental appliance I wear at night! CLEAN! CLEAN! CLEAN! Plus it’s quiet, small and fits in my purse if I need to travel! Can you also put in the headgear? Absolute. Tiy should put your complete CPAP mask headgear and all into the bag for cleaning. There are no filters on the Sleep8 CPAP Sanitizer to replace. The bag that you put everything in should be replaces approximately every 3 months as the charcoal that filters the outgoing ozone gets weaker. How do you get replacement bags and how much do they cost? 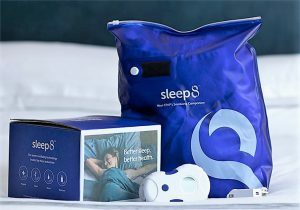 The Sleep8 is not a medical device and as such does not require FDA approval.